After the Call of Duty: Black Ops 4 presentation event held yesterday, several guests of the event were able to play the competitive mode and published their own gameplay videos. For those who are not aware of yesterday’s announcement, Call of Duty: Black Ops 4 will not have a single-player campaign, it will have a Battle Royale mode called ‘Blackout‘ and on PC it will be sold exclusively through Battle.net. In addition, there is a team dedicated to the development of the PC version to make sure the best experience of a Call of Duty on PC to date. Call of Duty: Black Ops 4 is out October 12 for Xbox One, PlayStation 4, and PC. You can Pre-order the game now and can access to closed beta. It’s time to get into your soldier outfits, because Black Ops is back! The series that has become the most played in the history of Call of Duty®, as well as a cultural phenomenon around the world returns on October 12 with the launch of Call of Duty®: Black Ops 4, an energetic and solid experience of combat. 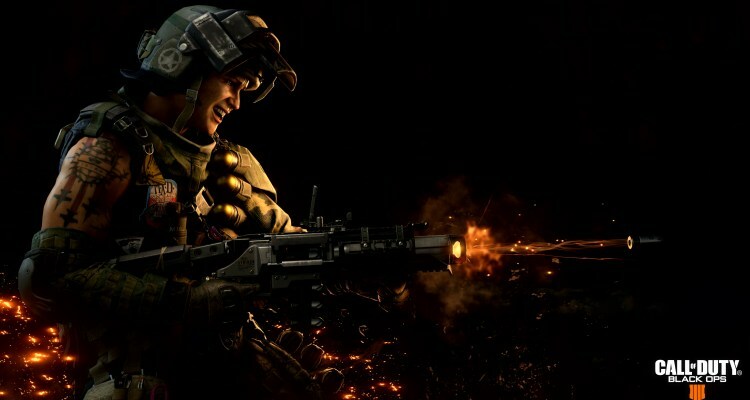 Black Ops 4 raises the standards for the Multiplayer mode and increases the tactical game and the player’s choice; all this along with the biggest offer of Zombies with three complete experiences in the launch, and Blackout, where the universe of Black Ops comes alive in a massive Battle Royale experience with iconic characters and locations of the four Black Ops games in an offer unique that is exclusive to Black Ops. Published by Activision and developed by the award-winning Treyarch studio.